I’ve always loved saucy dishes, but now that I’m living with Sjogren’s Syndrome, dressings and sauces have actually become a critical part of my diet. Sjogren’s Syndrome attacks the moisture-producing glands in the body, impacting the salivary glands and the entire digestive system. Adding moisture and healthy fats to the food I eat makes the process of eating more enjoyable, and also helps ease digestive problems. 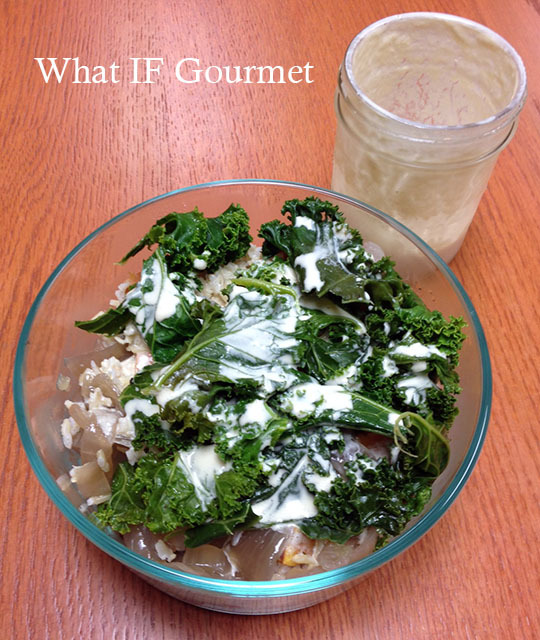 This light, creamy, nutritious dressing was inspired by the Buddha Rice Bowl in The Immune System Recovery Plan. The original Buddha Rice Bowl dressing is wonderful, but its lemon juice base can be a little too intense for those suffering from the severe dry mouth symptoms of Sjogren’s Syndrome. The original dressing’s creamy consistency relies on tahini, which can also taste unpleasantly bitter to a sensitive palate. This reworking of the dressing tones down the flavor of the tahini by cutting it with soaked cashews, and replaces the lemon with milder orange, which also happens to pair beautifully with ginger. I’ve also cut back the amount of sweetener, since orange juice is naturally sweeter than lemon, and slightly increased the amount of anti-inflammatory ginger. The dressing is delicious on salads, but it really shines drizzled over steamed or sauteed hearty greens, like kale, or whole grains, like buckwheat groats or quinoa. Combine the soaked, drained cashews, tahini, orange juice, ginger, honey (or agave nectar), and salt in a Vitamix or other powerful blender. Add less water for a thicker consistency or more water for a thinner consistency. If you’re not sure, then start with 1/2 cup water. Blend until smooth, taste, and add more water and blend again to thin down the dressing, if desired. Keeps well in a lidded mason jar in the refrigerator for up to a week. 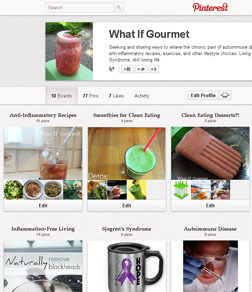 This entry was posted in Anti-Inflammatory Ingredients, citrus, Dairy-free, fruit, ginger root, Gluten-free, monounsaturated oils, nuts, Recipes, seeds, Vegan, Vegetarian. Bookmark the permalink. I’m with you on the healthy dressings! I love making my own and they are a very important part of my diet, too. To each his own, the original dressing with tahini and lemon would work out better for me since I cannot eat either oranges or cashews! Soaked cashews are in so many vegan sauces and desserts it really is too bad about that. You are very familiar with the fact that you just have to move on and substitute…. That’s very true. I will soon have a house guest who can’t have dairy, soy, chocolate, nuts, wheat….. and the list goes on. Luckily I am used to cooking for her and I can do it, but it takes some thought to make something that works for both her and us.